take some time out, relax, and let go of your daily stress. 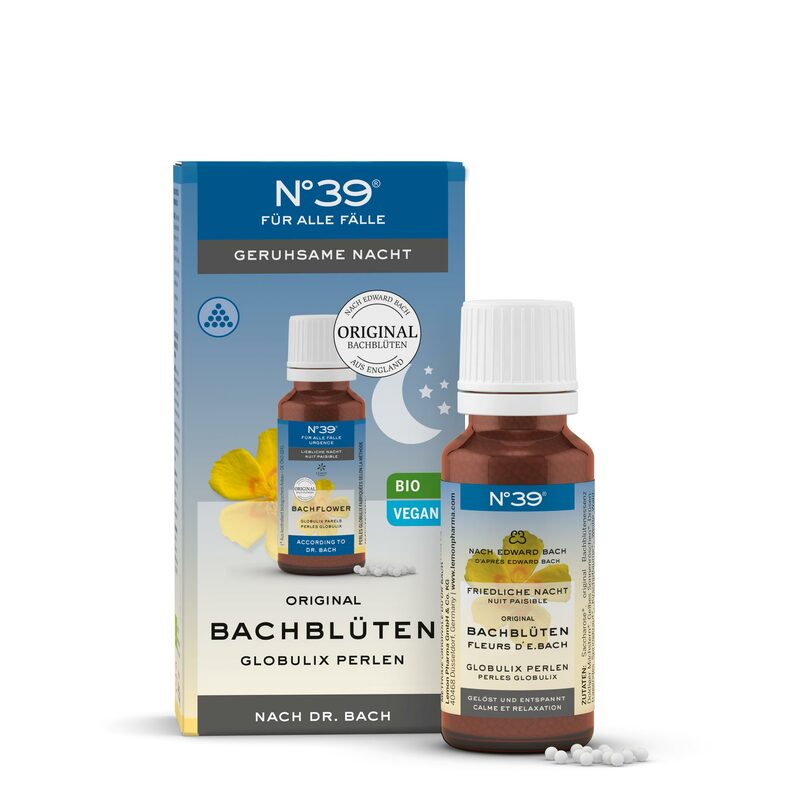 The pastille N°39 For Emergencies is a nutritional supplement with sweeteners, original Bach Flower essences, vitamins and trace elements as sugar-free pastille made from acacia gum (Gum Arabic). 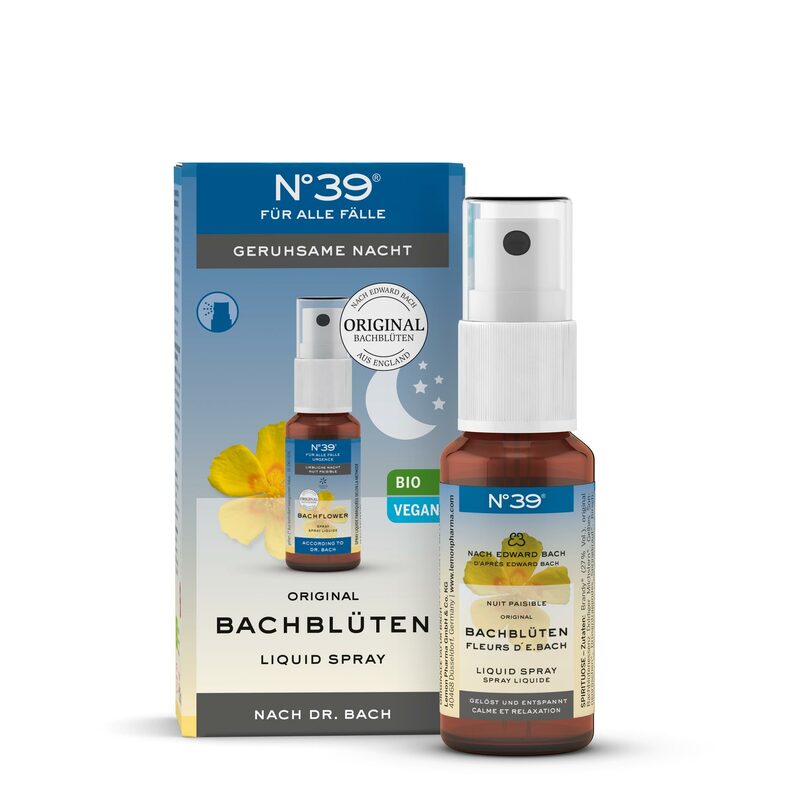 The B vitamins pantothenic acid, biotin and niacin are important for the nervous system and mental performance. The trace element zinc plays an important role for all neurological functions. 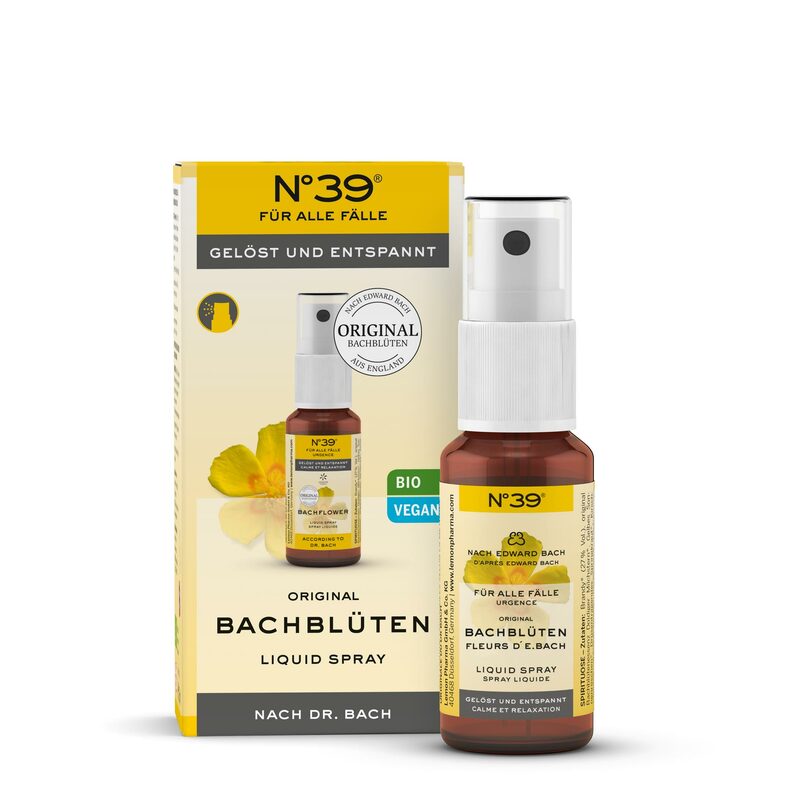 Ingredients: gelling agent: Gum Arabic, sugar substitute: sorbitol and maltitol, acidifier: citric acid; cherry plum flavour, zinc sulphate, coloring agent: anthocyanins, coating agent: vegetable oils and beeswax; Bach Flower essences from Star of Bethlehem, Rock Rose, Impatiens, Cherry Plum, Clematis (0.25%), sweetening agent: sucralose, niacin, pantothenic acid, biotin. Recommended consumption: Chew 6 pastilles throughout the day. 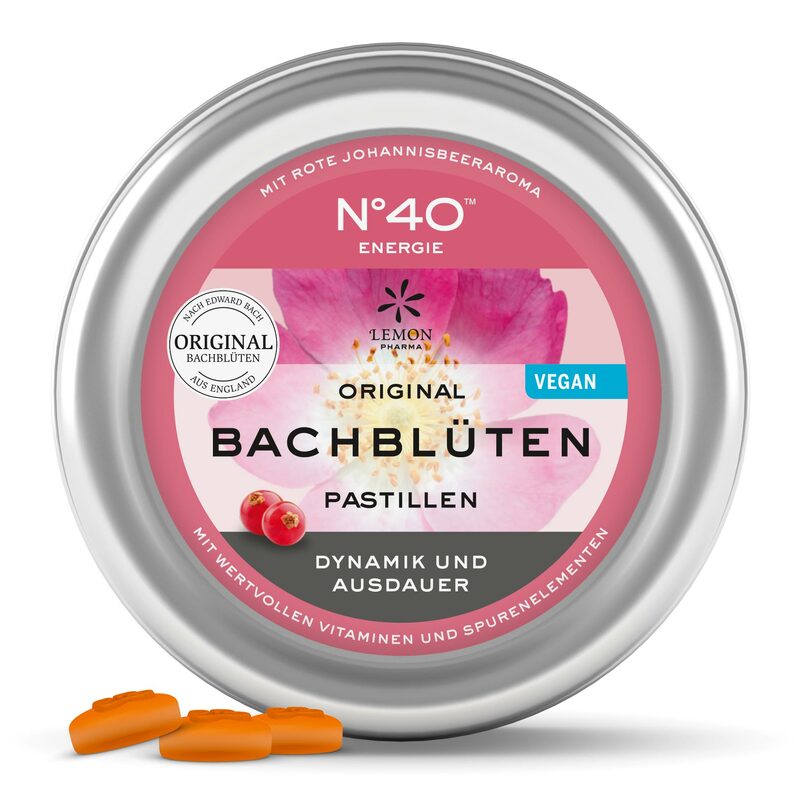 Six pastilles correspond to 15% of the recommended daily dose of those vitamins and minerals which are contained in the product. 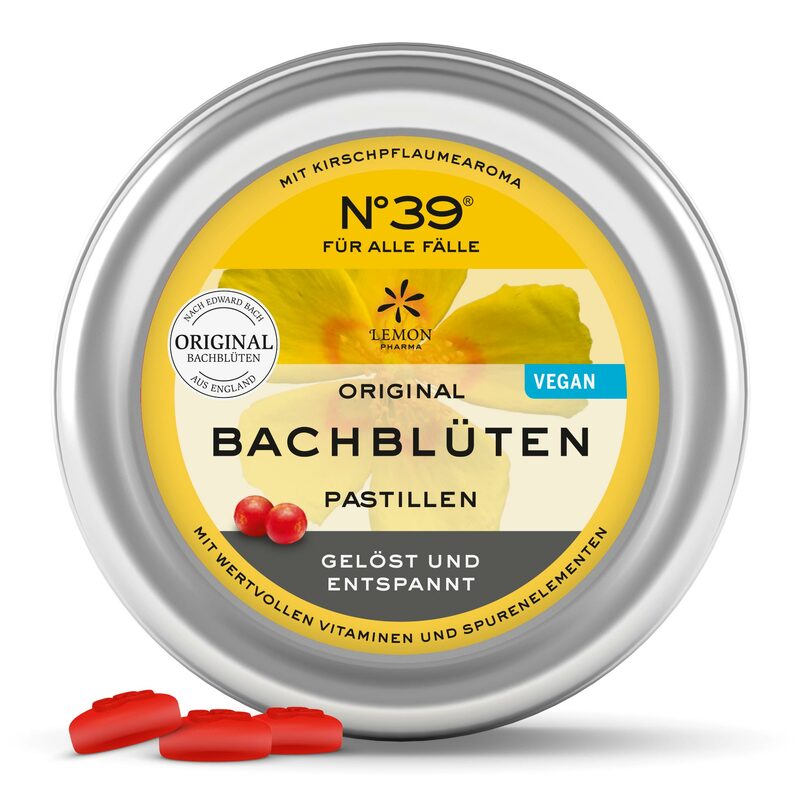 You may increase consumption to up to 18 pastilles a day. May have laxative effects if larger amounts are consumed.